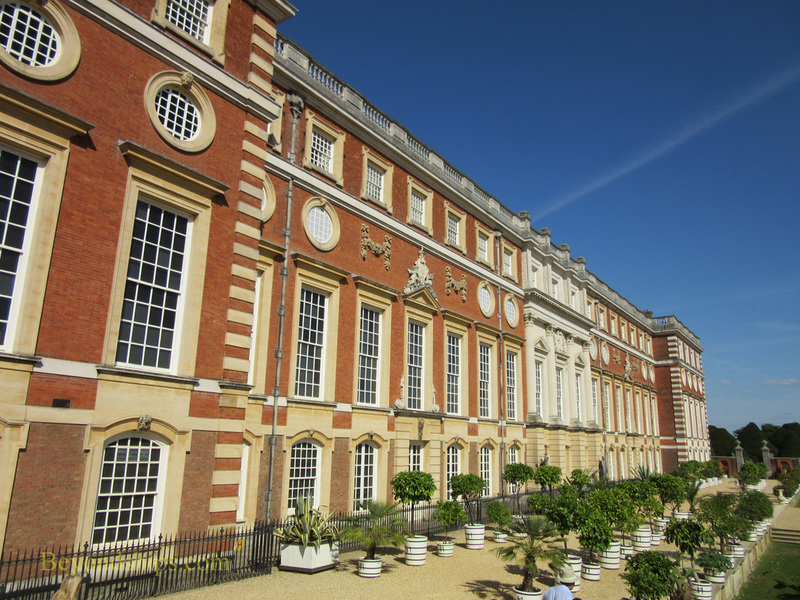 The next great phase in the story of Hampton Court came in the reign of William and Mary. ​These joint monarchs ascended the throne as a result of the Glorious Revolution of 1688. By the late 17th century, England had become strongly Protestant and it had fought a bloody civil war in which those supporting an absolute monarchy were defeated. Consequently, when James II who was both a Catholic and a believer in absolute monarchy came to the throne it caused considerable unrest. Therefore, a group of nobles invited William who was the Protestant ruler of the Netherlands and his wife Mary who was (arguably) next in line to the British throne to cross the North Sea. James had no support and so fled the country without any major battles. William became William III and Mary became Mary II. 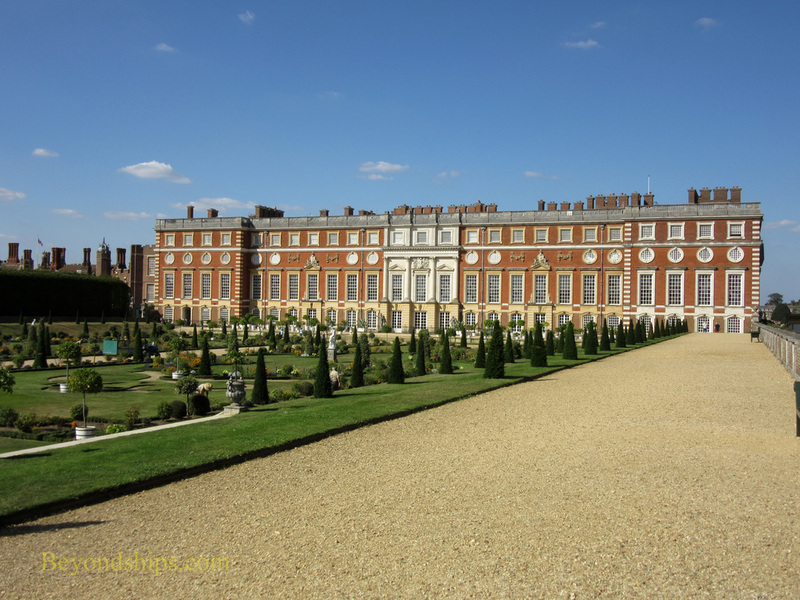 By this time, the Hampton Court Palace was 200 years old and out-of-date. The leading architect of the day, Sir Christopher Wren was commissioned to design a new palace. At one point, the plan was to tear down the whole existing palace and start afresh. However, in the end only one section was demolished. In its place, Wren built a suite of rooms and galleries around the Fountain Court. Using brick and Portland stone, he followed the Baroque style of the day. In addition, the gardens were laid out in the formal French style. Wren's addition is quite splendid. 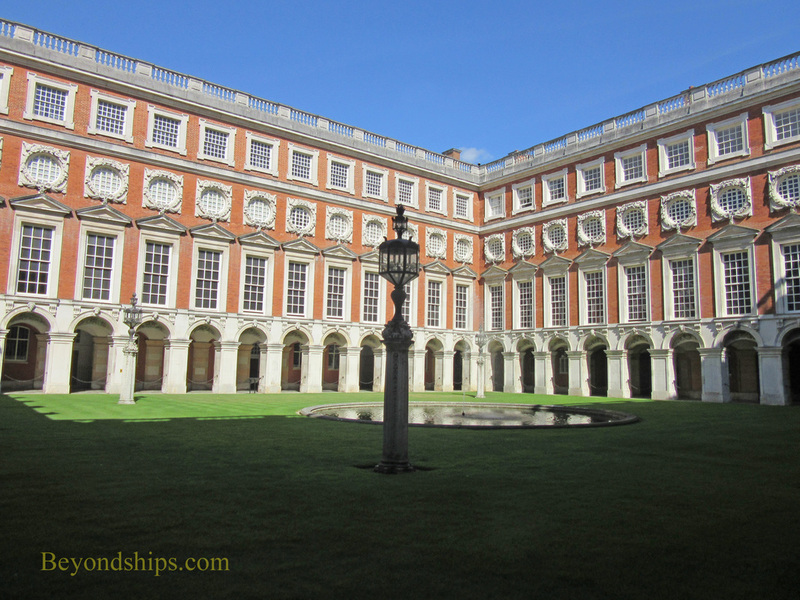 However, in comparison to the Palace of Versailles, which is from approximately the same period, Hampton Court is relatively modest. But there are some lavish elements. 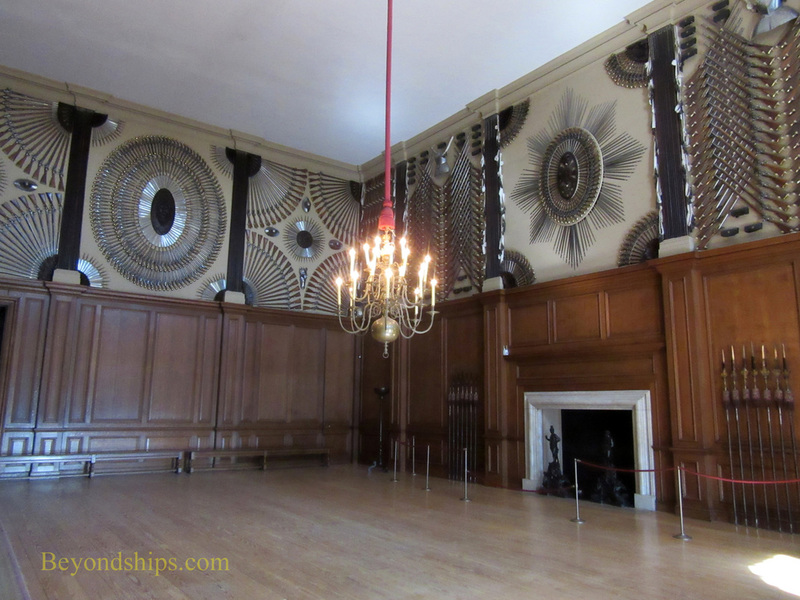 The State Rooms are divided into two suites - - the King's Side and the Queen's Side. 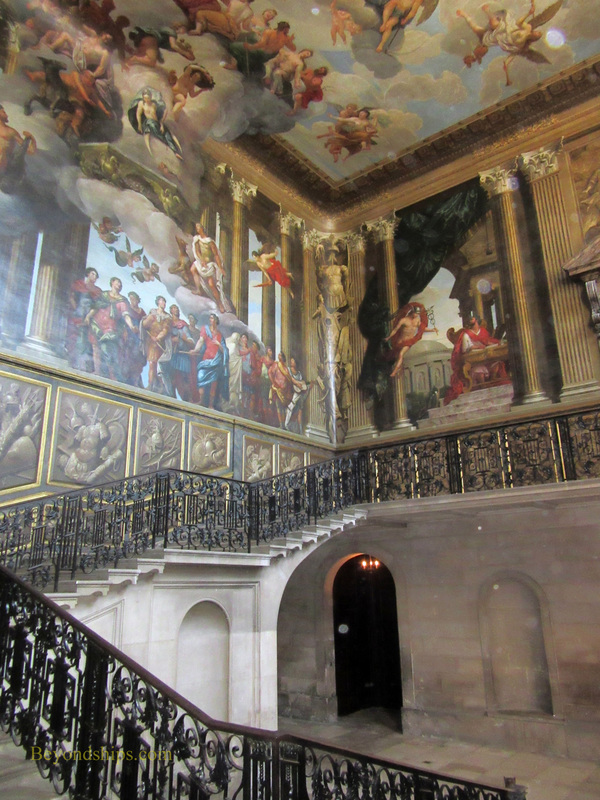 Leading to both are enormous state staircases with sumptuous murals by Verrio covering the walls and ceilings. There are also ornate carvings by Grindling Gibbons in some of the rooms. The King's Side presents the Wren addition as it would have been in the time of William III. William focused most of his time on the wars that he was conducting against Louis XIV's France and did not have a notorious private life like Henry VIII. Thus, the rooms are mostly of interest because they show the structure of royal life in those days rather than because of any insight into William's character. Visitors proceed through the guard room, presence chamber , audience chamber, drawing room, state bedroom, closet (private bedroom) and dressing room. In William's day, to make such a journey would have required great power or prestige. To go from one room to the next was a step up the ladder. The closer one got to the king's private chambers, the more your power and prestige. ​Below: The King's Guard Chamber.